Sun in Leo: what does it mean? Sun in Leo is a remarkable astrological event because the Sun defines our core in our natal chart and is the star that governs Leo. The Sun, then, shines with more force its own energy and light making of these people a human fortress. Get to know more. 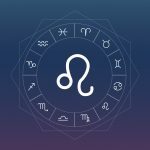 Sun in Leo makes domineering and expansive people, those who own the action, the moment and catch the attention with their great personal magnetism. Just like the Sun. Extroverts, have a lot of energy and strength. This people usually make their deeds great battles and always learn from adversity. It is difficult to see Sun in Leo on the ground, as they like and always aim to ascend and have power and luxuries. Because they are very vain, it is vital that they feel they are loved, needed and appreciated. Often, they create a majesty to gain the approval of others. They like to admire who is around. They need to feel admired by those around and do not stand scorn or indifference. Sun in Leo invites you to practice physical exercises, play, have fun and even play the lottery, since optimism and luck always walk by their side. Brave, these people go to the end to reach their goals. And with equal importance, they have clarity of thoughts to know what they want. A much-needed thing to come up with a strategy to pursue dreams. The heart of a Sun in Leo is good and great. Super protective and generous, they fight even as a lion to protect their ideals and those with whom they care. Loyalty and ethics are highly valued and practiced by Leo. They have good health, physical strength and can be great athletes, even because they have a strong competitive instinct. Generally, they are very beautiful and attractive, conquering people creatively and seductively. Concern about what others think and the need for approval from others can lead to a crazy race to try to impress. This can also make your efforts look unintentional, even when they do. They are rebellious and have difficulty obeying orders, creating a hostile environment in some situations. Especially when they receive valid advice but prefer not to accept by the arrogance of admitting that the other has something right to say. Admitting that they made a mistake is not an easy task for Sun in Leo, and when they do, it is secretly and often they don’t apologize. They are dramatic and fall on the theatrical side, creating big scenes in their relationships only by the thrill and excitement of a fight, even if it is and everything will be fine afterwards. Designer, illustrator and copywriter. She's always been interested in building and transmitting ideas through texts and images. She loves animals, cooking and being in the midst of nature — where she has that sweet feeling that we are part of a Whole. She believes it is in the impalpable that we learn the best lessons from the Divine. Sun in Scorpio: what does it mean?